Ultra-poverty is an inability to meet even the barest of basic needs. One effective model to fight extreme poverty was developed over a decade ago by BRAC. Its holistic approach provides the poor with physical assets (such as livestock or a loom necessary to start a small business); support (through weekly coaching visits, money, or food to prevent the selling of the asset); and networks to help with decision-making. Participants eventually “graduate” the program and become economically stable. This graduation model has since been adapted in some 20 countries. Here we profile one such program in Haiti. Haitian women in extreme poverty live on less than $1 per day, often have multiple children, no assets, and suffer from persistent hunger. CLM’s case managers work with women with no financial means for 18 months to help them build skills and greater confidence. Chemen Lavi Miyò, which translates to “Pathway to a Better Life,” provides each member with the materials to construct a 9×9 meter home with a sturdy roof and a latrine; a water filter; and her choice of two activities to begin earning an income, including raising various types of livestock or merchandise to sell. Since 2006, CLM has empowered nearly 5,000 ultra-poor women; 96% of participants successfully “graduated” the program, allowing for a modest but significant change for themselves and their families. Recent randomized controlled studies of this graduation approach following more than 20,000 people in seven countries found improvements in key indicators such as food security, assets, and income that lasted after the program ended. 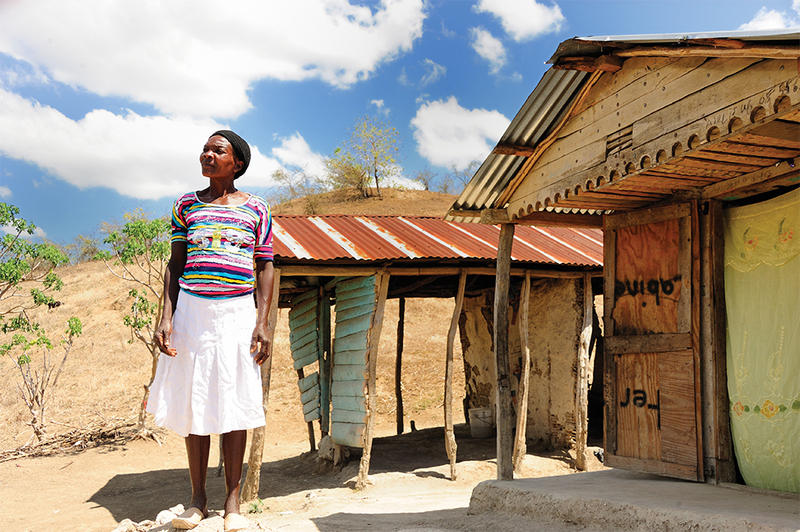 In Haiti, the cost is an estimated $1,700 to move a woman from ultra-poverty to increased economic security. A 2015 cost-benefit analysis by researchers found that the estimated benefits exceeded the program costs in a majority of the countries where the graduation model was examined. In most sites, additional earnings made by participating families were greater than the cost of the program. You can make a one-time or recurring donation in any amount on Fonkoze’s website. You can fund Fonkoze, BRAC in Bangladesh, or similar groups such as BOMA Project in Kenya or Trickle Up in India. Or go to the Consultative Group to Assist the Poor’s (CGAP)’s information-rich web site, blog, and community of practice for additional countries and sites. Look for organizations that go beyond financial capital to help clients build their skills, networks, and assets, which are as important as income. Productive assets, like farm tools, goats, or weaving looms, increase people’s ability to generate an income. Non-productive assets like housing help reduce risks and improve clients’ ability to recover from economic crises.